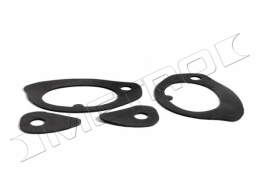 Door handle gasket kit - 6 piece, does 2 handles. Replaces original GM part #3772582 & 1154551. Top quality, die stamped to original GM specifications. MADE IN THE USA.